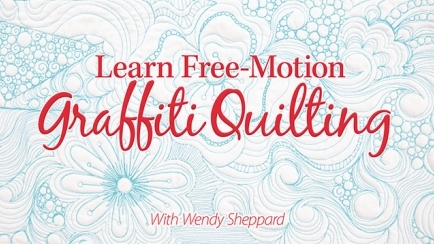 Using your home sewing machine, unleash your inner artist with the easy and spontaneous approach of free-motion graffiti quilting! 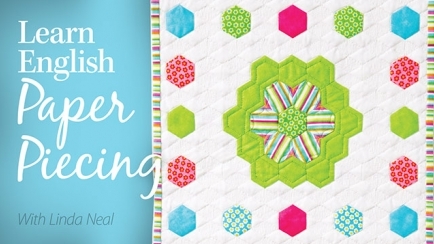 Join English paper-piecing expert Linda Neal to learn the ins and outs of this relaxing technique that produces amazing quilts! 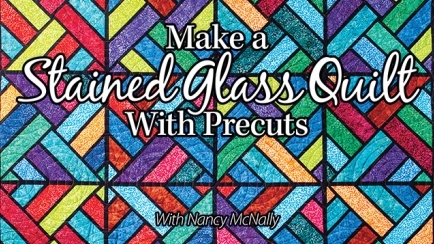 Join quilting expert Nancy McNally to learn how to use time-saving precut fabric strips to create an extraordinary stained glass quilt! 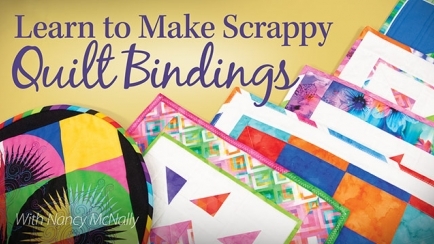 Join quilting expert Nancy McNally to learn how to create unique scrappy bindings that will turn your quilts into one-of-a-kind treasures! 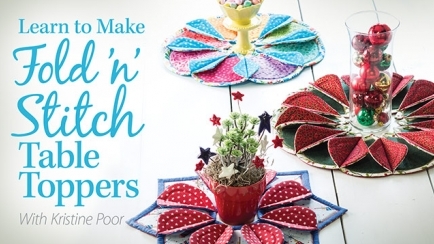 Learn to make amazing Fold 'n' Stitch table toppers to decorate your home or give as unique and thoughtful gifts! Learn how to plan, cut and sew Stack & Cut blocks to take your quilts to a whole new level of awesome! 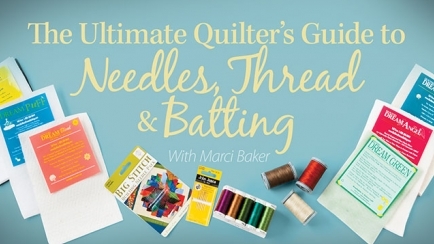 Quickly learn how to choose the right needles, thread and batting to ensure success for your hand- or machine-quilting projects! 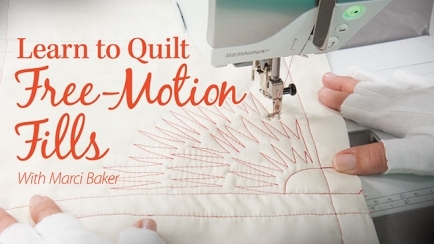 Prepare to be amazed at how quickly you will learn the ins and outs of adorning your quilt with free-motion fills! 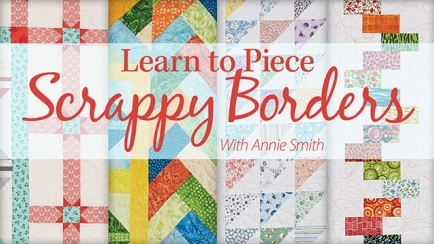 Learn to create four unique scrappy pieced borders that you can add to any size quilt for the perfect finishing touch! 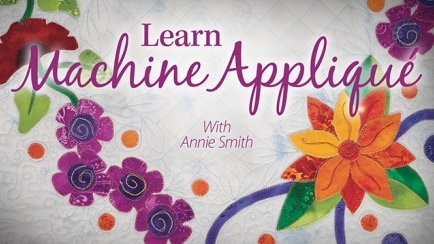 Learn the secrets to successful machine applique techniques to add interest and drama to quilts, fashion and home decor items! 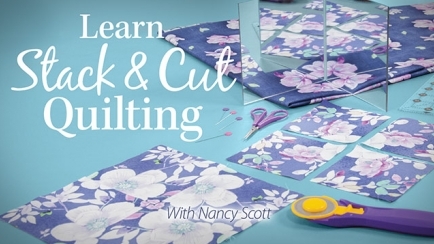 Want to learn how to quilt or learn new quilting techniques? Look no further! How to make a quilt from start to finish. How to assemble your quilt sandwich with machine quilting. How to make a landscape quilt from a photograph. How to create quilts with perfect points with paper piecing. How to quilt with 60-degree rulers and other rulers. Annie's quilting classes are taught by leading quilting instructors and come with sample patterns to practice and learn as you follow along through the class. Plus, you can watch each video at your convenience -- at your own speed and in your own home. Don't wait! Try Annie's video quilting classes today.